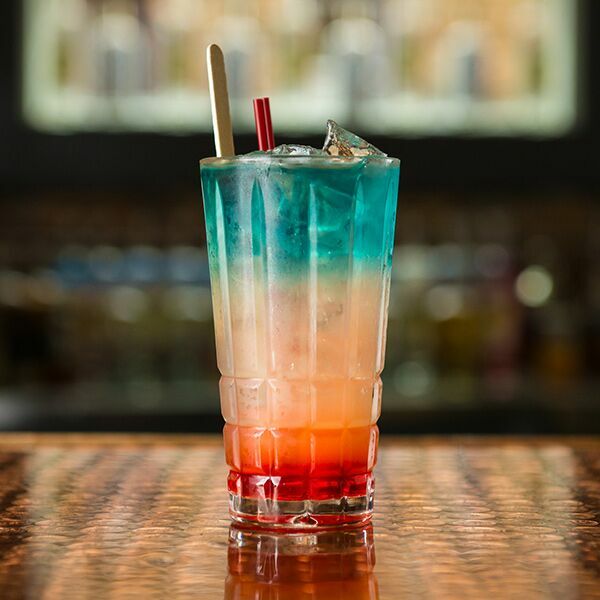 A patriotic blend of HUE Vodka, cherry juice, lemonade and blue curaçao delivered with nostalgia of your favorite childhood popsicle. In empty highball glass, add cherry juice. Fill glass with ice. Add vodka and lemonade in shaker. Shake. Float on top of cherry juice with a barspoon. Fill shaker with ice and blue curacao. Shake. Float on top of lemonade.